In the middle of a row of large wooden barrels, stacked two high on a bed of gravel, Olivier Lamy pulls up a short wooden ladder. With an empty wine glass in one hand and a tall, thin pipette in the other, he carefully removes a stopper from the round oak barrel he is resting against. Slowly, he lowers the pipette into the hole and draws out a pale, golden wine. Studiously holding the now full pipette against the wine glass, careful not to spill a drop, he climbs down the ladder and approaches the assembled throng who are waiting silently, notebooks and wine glasses in hand, ready to have a first taste of his 2016 vintage. We’re in the cellars of Domaine Hubert Lamy, a cold, brightly lit concrete cellar deep under the vines of St Aubin. Outside the air is damp and cold (this is November after all), and it’s sunrise – 8.30am, that’s 7.30am UK time. Whichever you square it, it’s early to be tasting wine. For the uninitiated, tasting barrel samples in Burgundy can come as a bit of a shock. Warm boots, scarves and jumpers are a must. 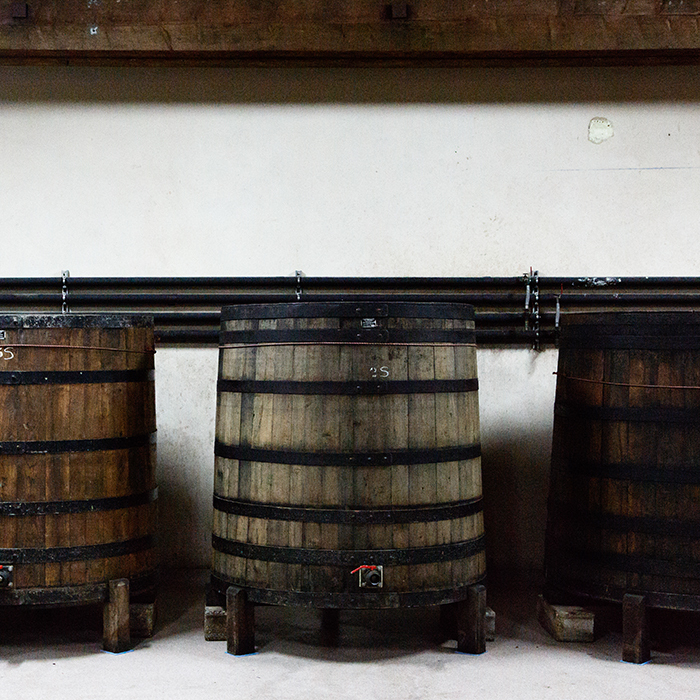 Most of the time you are tasting in working cellars, perched around barrels and farming machinery. At Domaine Castagnier in Morey-St Denis, we are squeezed in with the fermentation vats, a forklift truck for company and the table (where I perched my laptop) shared with a bucket, a calculator and a spoon. It’s charming, the business end of agriculture, light years away from the manicured lawns of Bordeaux or the futuristic tasting rooms of Napa. Coupled with that, the person in front of you is invariably the person who has made the wine, been out in the vineyards that day, with dirt under their finger nails and mud on their trousers. It’s a busy time of year with trench ploughing, pruning and burning of shoots in the vineyards, so it is a privilege to be able to share some of their time and taste their wine. And the tastings come thick and fast: like tournament football or Wimbledon fortnight, no sooner have you finished with one domaine you are due at the next. Over the course of the week we will taste more than 300 wines, perhaps more. Unfortunately, there isn’t much wine in 2016: volumes are down around 40 percent from the previous year, mainly due to frost which struck at the end of April, but the wines that have been made are very good. Broadly speaking, the reds are deep coloured and full of juicy, succulent fruit with supple tannins. They are approachable and easy to taste. The whites are concentrated, linear and pure – a vintage defined by freshness and fruit. The best wines have vitality, concentration and purity. 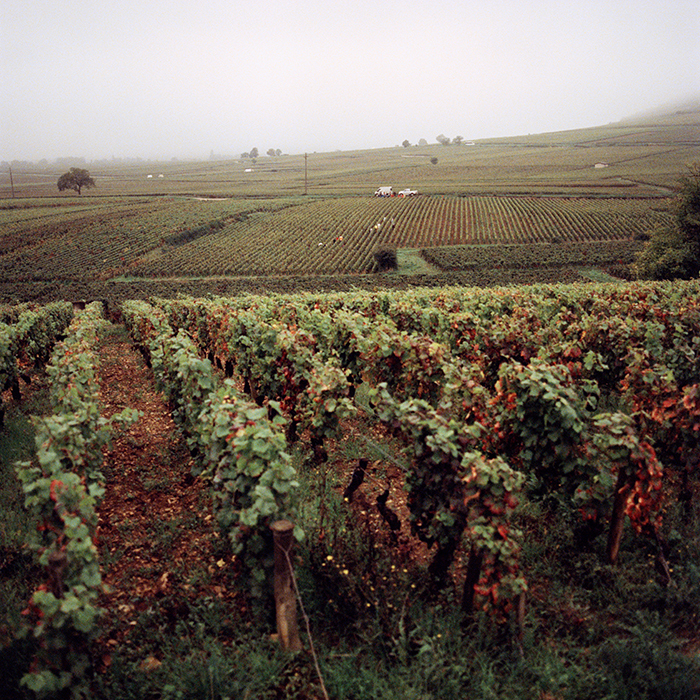 The Grand Cru Chevalier-Montrachet from Domaine de la Vougeraie is a case in point. Back in the Lamy cellars, it is time to taste, to appreciate the wines’ quality and discover their traits. It is a dual approach, described by Master of Wine and Berry Bros. & Rudd’s Wine Director Mark Pardoe as the difference between tasting for enjoyment and assessing as a professional to buy. To do this accurately, the professional taster also needs experience; this is crucial in assessing young wine, especially from Burgundy, a region packed with nuance. Not only does the growing season and the producer have an influence on the wine, every vineyard tells a story with its unique set of characteristics drawn from their terroir. The multi-layered soil can include limestone, red clay, gravel and pebbles, all helping to produce wines with their own sophistication and fascinating expression. It is a privilege and a pleasure – especially so with a vintage like 2016, where the wines are easy and pleasurable to taste. Many of the wines we tasted were a sensory experience. We leave Domaine Lamy, notebooks full, judgements made, taste buds still singing. Next up its Nuits-St Georges. As we clamber into the cars, wrapped in scarves and coats, overhead the starlings circle, sweeping in huge flocks above the gentle slopes where the vines stand, waiting for another year.